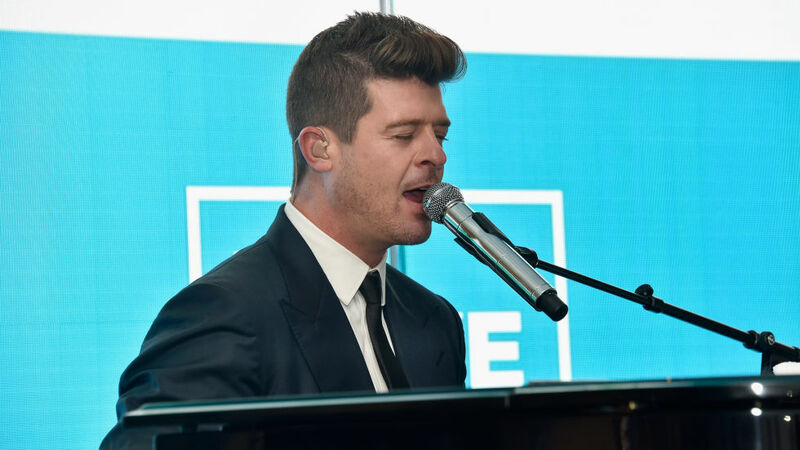 Robin Thicke surprises students with performance! …he just surprised students with a performance yesterday! 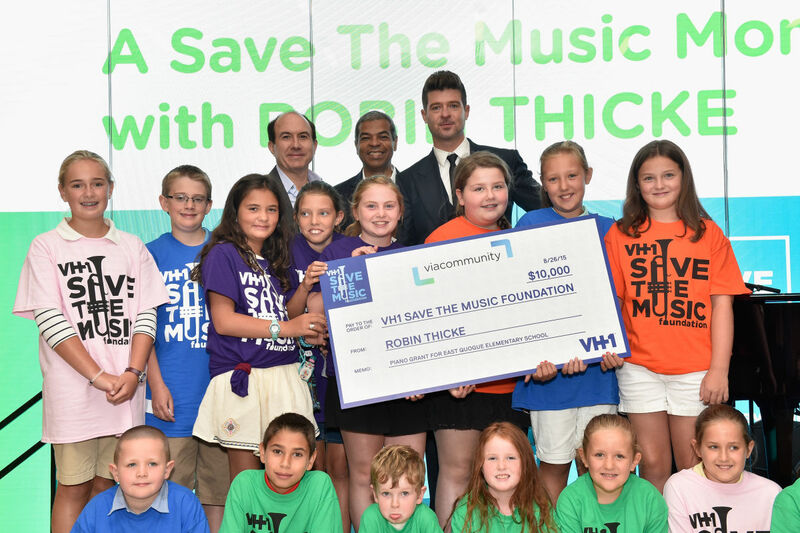 Robin showed up at Viacom’s Times Square headquarters yesterday afternoon to surprise students & dontate to VH1’s Save The Music Foundation. Save The Music has been around since 1997 to confirm that music is kept as a core curriculum in schools all across the country, a noble cause if you ask me! 2.6 million children have directly benefited?! I’d say that’s a phenomenal accomplishment, if you ask me! I love that their goal is to keep music in schools in order to foster the growth of potential contributors to the future of music! 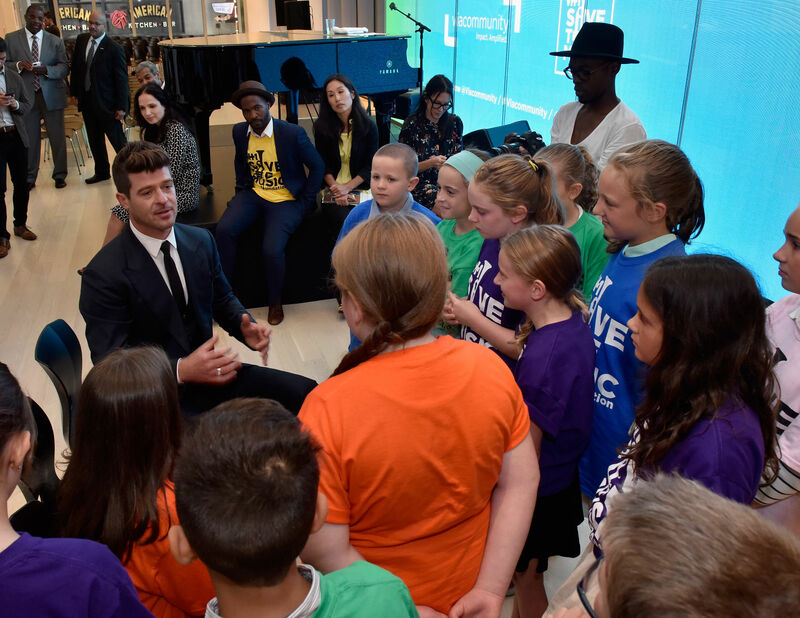 Some very veryyy lucky students from East Quogue Elementary School were given a treat yesterday in NYC when Robin Thicke came to perform some of his hits (“Dreamworld” and “Magic”) and the gift of a $10,000 piano to the school! There was even a sweet Q&A session for the students! Robin, why are you so handsome? I love that Robin is a great supporter of Save The Music, as if I could love him more! HAHA Speaking of LOVE, have you heard his brand new single “Back Together” featuring Nicki Minaj, yet?! I think Robin is THE man and I’ve been getting into his music a lot more lately. There’s nothing but love for my modern days Blue Eyes (Frank Sinatra…as if you needed that) and I’m so happy that a lawsuit and a divorce isn’t holding him back from music! Estimated Value = $5,000 PRICELESS! I’m so excited for a new album and I can’t wait to see Robin on tour for the first time! I think I’m going to faint…Dear gracious! 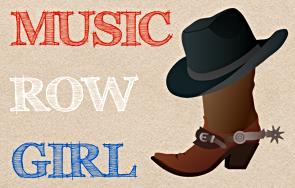 Thank you Robin for saving the music & come see me in Nashville soon! The Judds reunite for Vegas residency!